Resin 3" x 3" ornament is personalized to make a fun wedding gift! Specify names up to 20 characters, date up to 12 characters and 4 characters for the year. Just Married is pre-printed. 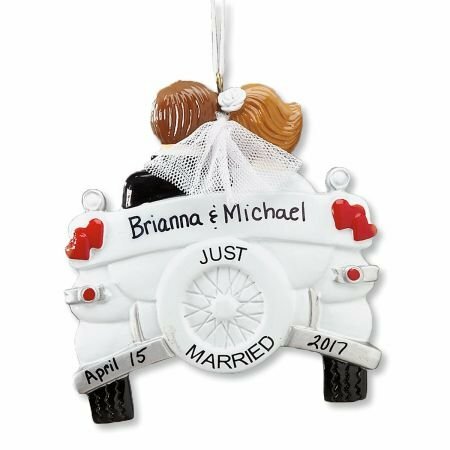 Ornament is personalized to make a fun wedding gift! Specify names up to 20 characters, date up to 12 characters and 4 characters for the year. Just Married is pre-printed.